Most of us live out our lives in the world of time, in the memories of past and anticipation of future. Only rarely do we touch the timeless dimension of the present-in moments of sudden beauty, or a sudden danger, in meeting with the lover or with the surprise of the unexpected. Very few people step out of the world of time and mind, its ambitions and competitiveness, and begin to live in the world of timeless. And of those who do, only a few have attempted to share their experience. LaoTzu, Buddha, Bodhidharma, …or more recently, George Gurdjieff, Raman Maharshi, J. Krishnamurti- they are thought by their contemporaries to be eccentrics or mad man; after their death they are called “Philosophers”. And in time they become legends- not flesh-and-blood human beings, but perhaps mythological representations of our collective wish to go beyond the smallness and trivia, meaninglessness of our everyday life. 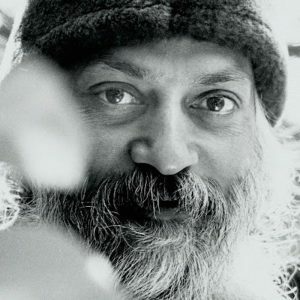 Osho is one who has discovered the door to living His life in timeless dimension of the present – He has called Himself a “true existentialist” – and he has devoted his life to provoking others to seek the same door, to step out of the world of past and future and discover for themselves the world of eternity. Osho was born in Kuchwada, Madya Prades, India on December 11, 1931. From His earliest childhood , he was a rebellious and independent spirit, insisting on experiencing the truth for Himself rather than acquirng the knowledge and beliefs given by others. After His enlightenment at the age of 21, Osho completed His academic studies and spent several years teaching philosophy at the University of Jabalpur. Meanwhile, He traveled throughout India giving talks, challenging orthodox religious leaders in public debate, questioning traditional beliefs, and meeting people form all walks of life. He read extensively, everything he could find to broaden his understanding of the belief systems and psychology of contemporary man. By the late 1960”s Osho had begun to develop his unique Dynamic Mediation techniques. Modern man, he said, is so burdened with the out-mooded traditions of and the anxieties of modern-day living that he must go through deep cleansing process before he can hope to discover the thoughtless, relaxed state of meditation.In the early 1970”s, the first westerners began to hear of Osho. By 1974, a commune had been established around Him in Poona, India, and the trickle of visitors from the West was soon to become a flood. In the course of His work Osho had spoken on virtually every aspect of development of human consciousness. He has distilled the essence of what is significant to the spiritual quest of the contemporary man, based not on intellectual understanding, but tested against his own existantial experience. He belongs to no tradition- “I am a beginning of a totally new religious consciousness “, he says. “Please don”t connect me with the past-it is not even worth remembering.” His talks to disciples and seeks from all over the world have been published in more than 600 volumes, and translated to over 30 languages. the soul is his gift.